How will Kitty get down? 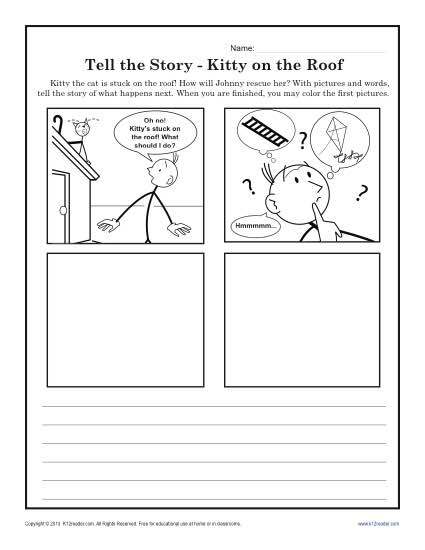 You can develop your little one’s imagination and writing skills with this cute writing prompt. Use it as part of Common Core Standards for kindergarten writing, or for other ages as appropriate.